XWebSEO offers a wide spectrum of solutions that include – Web Design & Development, Online Marketing, Search Engine Optimization & Audio Video Production. 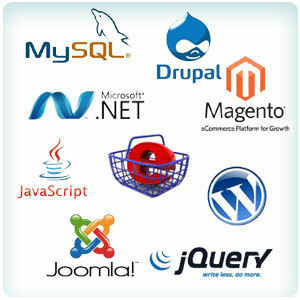 The unifying factor across our offerings is that they are all built on the latest technology in every domain. XWebSEO’s dedicated team of professionals has expertise across the most popular and powerful technologies that value add to the solutions / service. Ever since Open Source technologies became popular, this sphere has been the most rapidly evolving and changing, making it necessary to keep ugrading. XWebSEO has been on the top of these powerful open technologies, keeping abreast of the regular updates and implementing the same during design and development. The SEO & Online Marketing domain are ever changing with Search Engines like Google, Bing, Yahoo changing search algorithms and criterion, with new internet marketing laws, spamming policies and much more. As a quality SEO & Online Marketing company XWebSEO has a dedicated team monitoring the latest updates to ensure that the online marketing campaigns that we carry out for our clients deliver the needed impact, returns and ROI. With a host of services under our Online Marketing & SEO division, we ensure your business gets an online identity and stays on top. With dynamically changing technologies in the sphere of IT Solutions & Services, it becomes imperative to keep abreast of the latest developments, platforms, frameworks and more. XWebSEO’s team continually work towards learning new technologies to ensure that the solutions and services provided are in line with the current trends, while also upgrading the solutions provided to clients in the past. A specialized internal R&D Team has been assigned the task of keeping track of the changing coding and design trends in the industry and training personnel on the same. This ensures that all our products and services are always fresh not only in terms of idea & vision but also the coding language.